The second part of the new IPCC Report has been approved – as usual after lengthy debates – by government delegations in Yokohama (Japan) and is now public. Perhaps the biggest news is this: the situation is no less serious than it was at the time of the previous report 2007. Nonetheless there is progress in many areas, such as a better understanding of observed impacts worldwide and of the specific situation of many developing countries. There is also a new assessment of “smart” options for adaptation to climate change. The report clearly shows that adaptation is an option only if efforts to mitigate greenhouse gas emissions are strengthened substantially. Without mitigation, the impacts of climate change will be devastating. Impacts of anthropogenic climatic change are observed worldwide and have been linked to observed climate using rigorous methods. Such impacts have occurred in many ecosystems on land and in the ocean, in glaciers and rivers, and they concern food production and the livelihoods of people in developing countries. Many changes occur in combination with other environmental problems (such as urbanization, air pollution, biodiversity loss), but the role of climate change for them emerges more clearly than before. During the presentation for approval of this map in Yokohama many delegates asked why there are not many more impacts on it. This is because authors only listed those cases where solid scientific analysis allowed attribution. An important implication of this is that absence of icons from the map may well be due to lacking data (such as in parts of Africa) – and certainly does not imply an absence of impacts in reality. Compared to the earlier report in 2007, a new element of these documented findings is that impacts on crop yields are now clearly identified in many regions, also in Europe. Improved irrigation and other technological advances have so far helped to avoid shrinking yields in many cases – but the increase normally expected from technological improvements is leveling off rapidly. More than previous IPCC reports, the new report deals with future risks. Among other things, it seeks to identify those situations where adaptation could become unfeasible and damages therefore become inevitable. 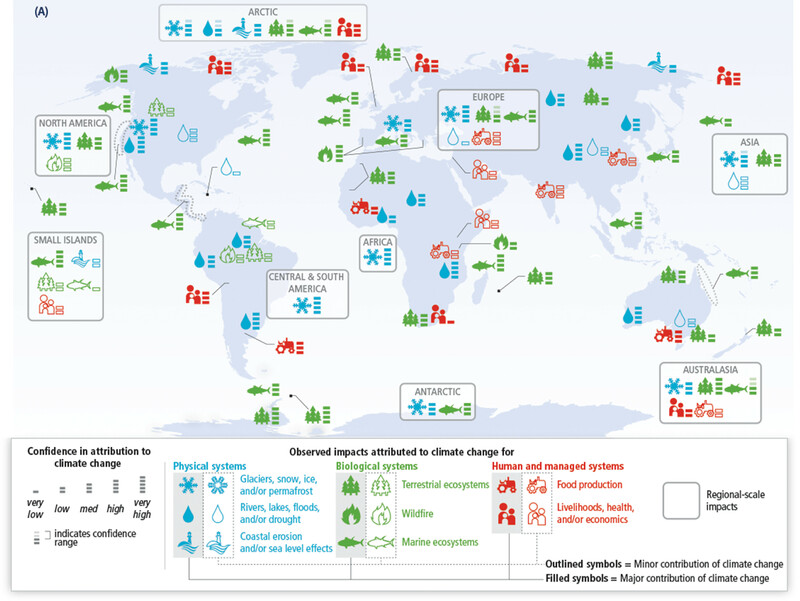 A general finding is that “high” scenarios of climate change (those where global mean temperature reaches four degrees C or more above preindustrial conditions – a situation that is not at all unlikely according to part one of the report) will likely result in catastrophic impacts on most aspects of human life on the planet. These risks concern entire ecosystems, notably those of the Arctic and the corals of warm waters around the world (the latter being a crucial resource for fisheries in many developing countries), the global loss of biodiversity, but also the working conditions for many people in agriculture (the report offers many details from various regions). Limiting global warming to 1.5-2.0 degrees C through aggressive emission reductions would not avoid all of these damages, but the risks would be significantly lower (a similar chart has been shown in earlier reports, but the assessment of risks is now, based on the additional scientific knowledge available, more alarming than before, a point that is expressed most prominently by the deep red color in the first bar). In the short term, warming may improve agricultural yields in some cooler regions, but significant reductions are highly likely to dominate in later decades of the present century, particularly for wheat, rice and maize. 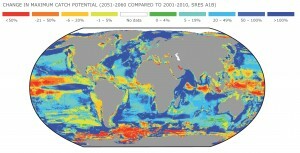 The illustration is an example of the assessment of numerous studies in the scientific literature, showing that, from 2030 onwards, significant losses are to be expected. This should be seen in the context of already existing malnutrition in many regions, a growing problem also in the absence of climate change, due to growing populations, increasing economic disparities and the continuing shift of diet towards animal protein. The situation for global fisheries is comparably bleak. While some regions, such as the North Atlantic, might allow larger catches, there is a loss of marine productivity to be expected in nearly all tropical waters, caused by warming and acidification. This affects poor countries in South-East Asia and the Pacific in particular. Many of these countries will also be affected disproportionately by the consequences of sea-level rise for coastal mega-cities. Nearly all developing countries experience significant growth in their mega-cities – but it is here that higher temperatures and limited potential for technical adaptation have the largest effect on people. Improved urban planning, focusing on the resilience of residential areas and transport systems of the poor, can deliver important contributions to adaptation. This would also have to include better preparation for the regionally rising risks from typhoons, heat waves and floods. It has been pointed out that no direct evidence is available to connect the occurrence of violent conflict to observed climate change. But recent research has shown that it is likely that dry and hot periods may have been contributing factors. Studies also show that the use of violence increases with high temperatures in some countries. The IPCC therefore concludes that enhanced global warming may significantly increase risks of future violent conflict. Studies estimate the impact of future climate change as around few percent of global income, but these numbers are considered hugely uncertain. More importantly, any economic losses will be most tangible for countries, regions and social groups already disadvantaged compared to others. It is therefore to be expected that economic impacts of climate change will push large additional numbers of people into poverty and the risk of malnutrition, due to various factors including increase in food prices. The report underlines that there is no globally acceptable “one-fits-all” concept for adaptation. Instead, one must seek context-specific solutions. Smart solutions can provide opportunities to enhance the quality of life and local economic development in many regions – this would then also reduce vulnerabilities to climate change. It is important that such measures account for cultural diversity and the interests of indigenous people. 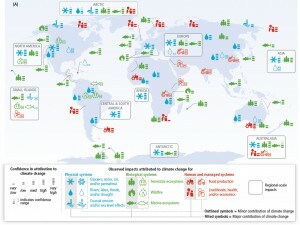 It also becomes increasingly clear that policies that reduce emissions of greenhouse gases (e.g., by the application of more sustainable agriculture techniques or the avoidance of deforestation) need not be in conflict with adaptation to climate change. Both can improve significantly the livelihoods of people in developing countries, as well as their resilience to climate change. It is beyond doubt that unabated climate change will exhaust the potential for adaptation in many regions – particularly for the coastal regions in developing countries where sea-level rise and ocean acidification cause major risks. The summary of the report is found here. Also the entire report with all underlying chapters is online. Further there is a nicely crafted background video. 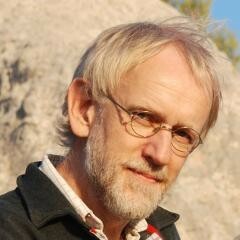 Wolfgang Cramer is scientific director of the Institut Méditerranéen de Biodiversité et d’Ecologie marine et continentale (IMBE) in Aix-en-Provence one of the authors of the IPCC working group 2 report. This article was translated from the German original at RC’s sister blog KlimaLounge. Here is our summary of part 1 of the IPCC report. I’m still very unclear on how figure 3 is constructed and what RCP or group of RCP’s it represents. If we knew it represents RCP8.5, we might be able to use figure 2 to estimate that RCP2.6 looks like the 2010-2029 bin, but if it a mashup, then RCP2.6 might end up looking like the 2030-2049 bin just from the effects of smearing. Whatever the averaging process in figure 3. it may conceal risks of consecutive extremes that have the most catastrophic consequences. A recent document (http://www.truth-out.org/news/item/22844-us-falling-emissions-a-mirage-offshoring-and-fracking) speaks of recent emissions in the USA from Gas and limiting Coal usage in the process which you would say is a good thing. However the analysis shows that in the short term gas will be worse than burning coal (cooling agents reduced) but in the long term no net gain in warming but now coal is being exported as the US uses less of it. Put into context in regard to this report and the need to avoid going over 2C with 1C being is safer still but unobtainable now due to the 0.6C of warming to come from the oceans (thermal lag of about 30 years)and hence 450 ppmv is the 2C limit. We need to do far more than we are actually talking about at these global meetings. 2C is becoming harder and harder to achieve and is almost out of reach now. Kevin Anderson states that emissions of the magnitude required is noting short of a large scale recession lasting a few decades and hence which politician wants that so we limp on. Your conception of lag is an artifact of an increasing concentration profile. If you compare figure 2 here with the concentrations http://en.wikipedia.org/wiki/File:All_forcing_agents_CO2_equivalent_concentration.png you’ll see that temperature responds immediately to a change in forcing. It is drag, not lag, effectively. It goes away when you change direction. How does civilization adapt to a moving target. Build a sea wall as the sea level rises??? Re #3 if we stop emitting carbon today we still get a few more decades of warming at 0.15C per decade don’t we? No, indeed, ending all emissions today causes the forcing to fall. The balance is reached quickly and any delayed rise would be lost in the annual noise. Later the carbon dioxide uptake by the oceans slows, but initially it is quite rapid. Cooling starts within about fifteen years or so. There is a bit of an issue that aerosols associated with emission would disappear too. But that is also a forcing, not drag. I should add that if we stabilize the concentration of carbon dioxide at today’s level (400 ppm) then there is continued warming for a few decades. But, to stabilize, you need to continue emissions, with an initial 50% cut then falling until 2150 or so if I recall. But that makes the continued warming a function of the future emissions, not the past. Basically, the climate is driven, it doesn’t really have momentum. Pete, Chris, this has been discussed at some length, e.g. if we define the commitment as the consequence only of past emissions, then you should set future emissions to zero before you calculate it. This is a valid point, and the consequence of that is seen in the lower lines in the figure. In a word, yes – but there are other answers as well. Sea level and climate change have been “moving targets” since time began, and always shall be. Historic seaports such as Bruges and Ephesus have become landlocked, and ancient cities in Greece, India and Japan have been inundated, as the earth continues to change. Rigid civilizations die, those which adapt survive. Next-Generation Claims Handling: How Will the Property/Casualty Industry Respond to the Increasing Frequency and Severity of Weather-Related Events? U.S. insurers did not escape the impact of natural disasters. The fourth costliest catastrophe of 2011 was not one single event but a series of more than 330 severe storms and tornadoes that hit Joplin, Missouri, and other regions in the plains states over a week in late April. Hurricane Irene, the fifth costliest disaster of 2011, followed a few months later. If we stop burning fossil fuels today, we will get peak temperatures within one or two decades anywhere from 1.2 C to near 2 C. Carbon emissions from the Permafrost (and perhaps other sources) that have been initiated already by global warming will impact how (and if) the temperature would decline after the peak, depending on how these emissions would increase with temperature. IIRC, if we completely stopped emissions today, warming would also basically stop, and the temperature would remain steady. Yah, there’s a thermal lag from the CO2 in the air today, but the ocean and biosphere would also be absorbing CO2, so atmospheric CO2 would start dropping immediately. The thermal lag and the dropping CO2 basically cancel out to mean temperature remains steady for a good half-century or so. On the other hand, if we were to start decreasing *emissions* now, then CO2 would keep increasing for a while, and so would temperature. Even if we just emitted enough to keep atmospheric CO2 steady, the temperature should also keep increasing at about 0.15C/decade, yeah. I think Pete (#5) is on the right track – although CO2 levels would stop rising, the global average temperature would continue to rise as the climate reaches equilibrium. It has been said that temperatures lag CO2 by as much as 40 years, so today’s warming is due to ’70’s or ’80’s CO2 level. If this is even close to being the case, then we would still have 30-40 years of warming to look forward to even with a total cessation of emissions right now. CO2 would start to fall, as natural processes gradually remove it from the atmosphere, but this is a long-term (~100’s of years) thing. That is about right. The temperature over land starts dropping right away(modulo aerosols) and there is probably a period of increasing sea surface temperature, but not for long as the forcing decreases. The last paragraph though is not well thought through. While we may end up on a trajectory like RCP2.6, with everyone cutting emissions, we may not. If we end up on RCP4.5 because China and India insist on increasing their emissions, the consequence of how the climate behaves is that they are responsible, through intent, for the subsequent damage. These are legal issues that feed into such areas of international law as the GATT in which countries have already agreed that environmental tariffs may be imposed. Those who get to impose tariffs are those who are undertaking environmental protection domestically. See how intent comes is? So, if you prefer RCP2.6 over the other ones, China must be turned, and a legal means has to be found to do it. The science says that it is future emissions, not past emissions that are responsible for future warming. That seems to have immense practical implications. We don’t pay China to be good because we share the blame, we fine China for being bad because the blame in entirely theirs. When the fine gets large enough, they’ll turn. Their other option is to withdraw from the WTO, which gives them no recourse at all on tariffs. To the extent that what we are protecting with that seawall is built environment, we can rely on the fact that built environment decays over time. So we build the seawall, and cutback on maintenence of the protected building, then by the time the seawall is overcome we are ready the abandon the now decrepid buildings. As long as the rate of SLR is small enough that we can protect the built environment for as long as its natural lifespan, we are OK.
Hi everyone, I am an undergraduate student at McGill university, studying environmental sciences. I am participating to a contest organized by UNEP, promoting the World Environment Day and the issues related to climate change, if you can take a look at my video and give me some feedback, it would be greatly appreciated! It sounds like you are saying that even thought we (western nations) have emitted most of the pollution to date and we, as a group, still emit more than China, we should not assume a leadership role in reducing our CO2 emissions but, instead, require China (et.al.) to back off. Please tell me I am wrong. seems to be the title. I don’t see “Mitigation” in there. Suggest that discussion of mitigation by punishment of noncompliant countries be moved to the diogenes tarpit. The temperature over land would abruptly spike as the emission halt would remove the cooling aerosols (for comparison, follow the spike in the 90s after the pollution-intense USSR-Comintern industrial base collapsed). The accrued warming potential would be minor and probably weather-swamped in a decade. Unfortunately CO2 levels will continue to rise, probably for about a decade. The pipeline through eco-systems into the ocean and back to the air will churn CO2 back into the atmosphere in the tropical areas. It may be supplemented by reservoirs on land – the same diffusion continuation as the oceans. We get a break if there are more La Nina’s, and we pay the piper longer if there are more El Ninos. 4John McCormick says: How does civilization adapt to a moving target. Build a sea wall as the sea level rises?? It doesn’t. There are three different factors here: Where will we end up? Where do we want to end up? How do we do that? The first involves figuring out the worst case scenario with all-out mitigation efforts. Key elements of this are backcasting from a given, relatively discernible point in the future, probably 2100 or so, giving us 2 or three generations for the transition, but **hopefully** prior to unstoppable tipping points. This tells us what to design to for worst case scenario wrt adaptive actions. ** It is vital to understand, this is NOT the end point, nor is it where most deign will be guided by. This is more like the minimum necessary actions for survival at that future point from which we are backcasting. Also, this is a parameter that we actually are designing to avoid. We now have a baseline to design to for survival in a warmer world, but not out of control world. The second is really the question, how do we survive long-term? With a climate we clearly can overcome with our actions, a living, often dangerous planet, 9 billion people or more, and limited, rapidly depleting/depletable resources? Put more simply, what does sustainability look like? To answer this question, you cannot just ask, what are the issues with climate? You have to ask what the effects of exponential growth? What do we do when we run out of resources? How do we avoid using up resources? Consider, people talk about adaptation, but adaptation requires far, far more resource use than mitigation does. It involves ever more complex solutions to ever more complex problems. Basically, we end up with more of the last 800 years. This simple observation logically excludes adaptation as our primary response. It simply isn’t sustainable. What we want is a way of using our resources that allows us to keep being on this planet with a minimum level of sophistication, i.e. contentment and comfort, for so long as we and the planet may exist. Note this does not exclude being able to someday mine distant worlds, necessarily, and the resource budget, and what sustainability is, can be recalculated at such a time. However, you design to what might magically occur someday, you design to the resource inventory that is known and adjust it up and down as appropriate at future points. As of now, that level of resource use is a lot less than the US currently consumes, and without getting to deep into things, my best guess is maybe ten percent of current U.S. consumption. There are many, many implications that follow from this statement that many would consider ideological/moral/economic/political issues. This is a mistake. There is nothing sustainable about any of those systems. It would be like trying to breed a better orange from an apple. But let’s set aside these things and look at the gist of this: We must live simpler. Let that be whatever it needs to be in your mind, but understand it means serious deep-seated changes, though you could live a daily schedule and style that outwardly looks just like today, though with a very different veneer. Still, breakfast, work, break, lunch, work, dinner, hang out. Add in ball games, entertainment, family activities, music, whatever. Maybe even some computer time. Etc.Your homes will be comfortable, but new constructions will be different. You won’t have a car. Etc. How? The answer is above: Simplify, localize, consume a heck of a lot less, make choices based on the design of natural systems. Make decisions with the ecosystem as the first-level consideration. Localize. Massively distributed systems, inclusive: Energy, food, production, people. This also builds resilience. We want to be able to survive, but we have to stop imposing and start cooperating with the natural systems. IF we design sustainable communities, we solve climate, we solve energy, we solve economics, we solve politics. Think of a prairie. In many ways a larger ecosystem is a fractal. Take any two square meters of prairie within a reasonable distance of each other and they will contain many of the same biota. But it won’t be all the same. And destroying a patch of prairie affects the surrounding patches. (See wolves in Yellowstone.) Do it in a serious enough way, it changes forever, particularly if you alter large enough areas. The best model I know of is either the Iroquois federation or pre-Columbian Amazon society. There was a vast network of associated villages in the Amazon. Yet, they were so naturally integrated, for five hundred years we never knew they had existed at the time Columbus bumped into the place. Former estimates of around 5M people are now closer to 15M or 20M. They lived lightly. I am not suggesting copying these societies except in the principles of design and the patterns of use with modern knowledge applied to create a sustainability that fits today. Cities will not disappear, but they will greatly depopulate because…. they are completely unsustainable. But, we must think of bio-regions, not just localities. When taken as a bio-region, the exchange between cities and the rest of the bio-regions is one form of closed loop so long as the cities produce something needed. If you don’t believe me, believe the climate scientist I heard say the other day that our energy system is unsustainable. ‘Bout danged time. If we accept that greenhouse gases are warming the planet, the next concept that needs to be grasped is that it takes time, and we have not yet seen the full rise in temperature that will occur as a result of the CO2 we have already emitted. The Earth’s average surface temperature has already risen by 0.8 degrees C since 1900. The concentration of CO2 in the atmosphere is increasing at the rate of 2 ppm per year. Scientists tell us that even if CO2 was stabilized at its current level of 390 ppm, there is at least another 0.6 degrees “in the pipeline”. If findings from a recent study of Antarctic ice cores is confirmed, the last figure will prove to be conservative [ii]. The delayed response is known as climate lag. Current climate change is from emissions 40 years ago. Emissions are not going to stop tomorrow so 1.5C (0.6C extra) is already accounted for. according to that chart in Fig 2 then 1C is the new 2C and hence the implications are not good. In their case, the temperature would increase to 1.6 C, then decline slowly. I have seen other computations where the range of the peak is from 1.2 C to ~2 C, with some higher outliers. Given that we have already triggered carbon emissions from other sources (e.g., Permafrost) due to climate change, even if all anthropogenic sources were to cease immediately, the triggered sources would keep generating, slowing the rate of temperature decline after the peak somewhat. No, Chris, it doesn’t. Science is entirely silent on concepts such as ‘responsibility.’ For that, you have to go to the study of ‘ethics.’ And your view on future responsibility is not generally accepted, either here, or in the corridors of power, where it really matters. And let me reiterate: China and India together are only about 30% of the problem. It is interesting that the sulphate aerosols have been scrubbed in a lot of developed countries. It may be that the warming from their absence would be localized to the Pacific North of the Equator. Cooling over land might occur fairly soon in the Southern Hemisphere and perhaps Europe. China got messed with much like the USSR did. The USSR went broke trying to match the US in the arms race. China has gone broke getting rich with the 19th and 19th=century industrialization that the US tricked them into using in return for lots of dollars. If we’d exported democracy, unionization, the IWW, the Clean Air Act regulations and public health done to the mid-20th-Century criteria, China wouldn’t be a polluted mess with toxic soil, water, and air right now. They’d be much more of a threat politically, as they’d be healthy. So they have dollars and a poisoned environment. Very tricky, these Americans. Suckered them into a devastating ecological debt in return for paper dollars. Just my opinion. I’m sure the economists would tell you different. But if you want good economic advice, ask the ecologists. They don’t fool themselves. I would very much like to see a reconciliation of “It has been said that temperatures lag CO2 by as much as 40 years,” with Chris Dudley’s assertions, which appear knowledgeable to this lay reader. Talk about reduction often means only a lessening of rate of increase. A person wishing to reduce weight first needs to stop gaining before they can slow down, level off, or reduce. How much leveling or reduction in practical terms are we talking about (still a considerable increase in total quantity)? I see Hank Roberts has as usual done the homework. I also found the Truthout piece (@2) useful. My point remains but part of practical query is answered. Another joker is the increased warm temperatures in areas of permafrost and snow/glaciers and other areas where potential for feedbacks are growing. First of all, China is already being “fined” for its fossil fuel use, by the huge economic costs of the pollution that is choking China’s cities, and by the rapidly escalating economic impacts of global warming on Chinese agriculture. Not to mention the economic cost of importing massive amounts of coal and oil. Which is exactly why China is already investing so much more in renewable energy and efficiency than the USA — in fact, China is adding more renewably-generated electricity (which directly replaces coal) than any other nation on Earth, with the International Energy Agency projecting that China will add more renewable electricity generating capacity by 2035 than the USA, Europe and Japan combined. The USA should not be concerned about “turning” China, it should be concerned about catching up with China in the race to lead the emerging global renewable energy economy. And if the USA does want to do something useful to “turn” China, a good start would be to end US coal exports, which are at an all-time high, much of it coming from the Obama administration’s expansion of coal mining on public lands. According to US EIA data, US coal exports to China have increased from just over one million tons in 2009 to over TEN million tons in 2012. Even worse, the US is exporting increasing amounts of petroleum coke, or petcoke, to China. Petcoke is a solid fuel derived from oil refining which when burned emits 10 percent MORE CO2 than coal for the same amount of energy. According to EIA data, US petcoke exports to China have increased from about 2 million barrels in 2008 to over 38 million barrels in 2013. So, what you are proposing is basically that the US should “fine” China for burning the fossil fuels that we are selling them. So, if you prefer RCP2.6 over the other ones, China must be turned, and a legal means has to be found to do it. This makes little sense given China has already a national climate policy, far ahead of the U.S. in this regard. Many mistake momentum for lack of policy and intent. The science says that it is future emissions, not past emissions that are responsible for future warming. That’s not what the science says. First, there is the lag. Second, the cumulative effect upon which future emissions lie. Third, future effects of already-triggered feedbacks aren’t quantifiable. I think such fines are quite a way away (certainly in terms of the US or UK imposing fines). (I daresay this may have changed quite a bit since 2010 and will no doubt change a lot more in the coming years. 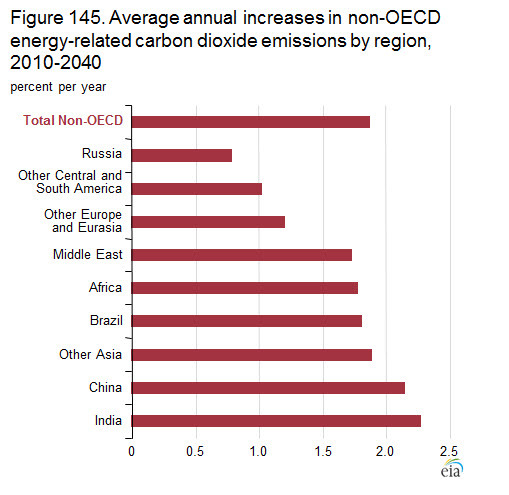 Note also that I’m not sure whether this takes into account all the “outsourced” emissions – e.g. a lot of products consumed in the UK are made in China and the emissions from creating those products arguably ought to be included in UK’s emissions instead of China’s but I understand that this has often not happened). Also, I’m not convinced that historical emissions aren’t important (although I think I understand that if we could get to zero emissions then the concentration of CO2 would fall quite quickly, I’m not sure how likely this is to happen any time soon). Also, I’m not very comfortable with the idea that if nations that developed by burning a shed load of fossil fuel such as US and UK do somehow find a way to cut their emissions to virtually zero, that those same nations should necessarily fine other nations that are burning a lot of fossil fuel to develop. That doesn’t seem particularly fair to me. People don’t seem to have followed up on Hank’s suggestion (always a mistake) at 9 to look through some of the more recent research on the subject. Most earlier research leaves out carbon feedbacks from permafrost and other sources. Just adding (some) of the carbon feedback from permafrost to the equation at least offsets the uptake by oceans and by non-permafrost land sinks. Check out the third source there, MacDougal et al. Including just this one carbon feedback, warming continues even with immediate cessation of all further CO2 emissions. That would imply (to me, which may cast some doubt on the reliability of the conclusion!) that we’d still be seeing an energy imbalance at TOA, and therefore further warming to reach equilibrium. We estimate that this feedback could result in an additional warming of 0.13–1.69 °C by 2300. We further show that the upper bound for the strength of the feedback is reached under the less intensive emissions pathways. You may not be aware that the US is cutting emission, and has a policy in place to cut them further. Many other western nations are doing the same. China plans to increase emissions. We can’t do RCP2.6 unless everyone cuts. So, the US has already taken on a leadership role and now has a responsibility to invoke the environmental provisions of the GATT to impose tariffs on countries, such as China, which are not cutting emissions. You have not understood what it means to stabilize. It means continuing to emit. If you want that pipeline warming, you are going to have to provide enough carbon dioxide to make it happen. If you fail to do that, the pipeline in gone. Past emissions don’t do it. I find your concerns confusing. If you think emissions are being outsourced, what better policy than to invoke the environmental language in the GATT and impose tariffs. Do the manufacturing at home using clean energy. On the fairness question, The US and UK have to pay twice for their energy infrastructure. China can avoid that by going directly to clean energy. Should China not direct some of its savings on that towards assisting the US and UK with the their extra expenses? There are many ways to look at that. The way I look at is RCP2.6 is needed and we need effective policies to implement it. International relation are not usually fair. Burden sharing in NATO is pretty unbalanced, for example. The US has an interest in not seeing its agriculture decimated, so putting tariffs on imports from China seems like a good thing to try. Why would anyone be discounting feedbacks? I would say also that you have misunderstood lag in the climate. Further, feedbacks, if they are not runaway, need to be driven, so ending the driver ends the feedback. 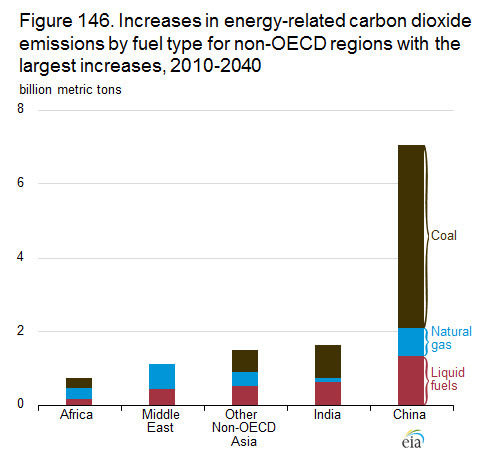 Bottom line in what you are saying, China is increasing fossil fuel use. My bottom line: We can’t do RCP2.6 if they do that. Supporting China’s goal to increase pollution is supporting mass extinction of species according to AR5. Give China all the kudos you want, but if they don’t cut emissions, the American Pika will be gone, along with a lot of its friends. Grain yields will be down and violence will be up. So, turning China around has to be a priority. It’s not the last straw that breaks the camel’s back. The fool who overloaded the camel tries that pathetic excuse. And you may not be aware that US emissions rose last year–though I’ve already mentioned it once before. No, the US does not have such a policy. The current administration does, but much of what would be required to be sure that future US emissions do in fact decrease are beyond its jurisdiction. And there is no knowing what the next administration will choose to do–though we can certainly infer what Mr. Romney would have done, had he been elected. In the AEO2014 Reference case, total U.S. energy-related CO2 emissions in 2040 equal 5,599 million metric tons, 92 million metric tons (1.6%) lower than in AEO2013. (Though I expect that those emissions will in fact be lower than that, even without a radical policy change; the EIA consistently underestimates the growth of renewables.) I haven’t found another projection that has some authority, that is recent, and that runs out that far. I don’t understand why you are harping on China and India, Chris; emissions cuts on their part are necessary but not at all sufficient. As I keep saying, mitigation is a multilateral problem. In fact, the EIA report you cite shows that quite clearly. Though it’s true that developing nations are projected to increase more than developed, nevertheless, the latter–as sampled by today’s OECD grouping–is projected to increase nearly 10% by 2040. Nor does your statement that “China’s policy is to increase emissions out to 2040 and beyond,” seem to be supported. China does not officially report emissions, has no official projections of emissions, and couches its policy in terms of energy intensity. So ipso facto, no policy on emissions one way or the other. In the longer term, Chinese officials are signaling possible absolute reductions in China’s GHG emissions. As reported by the Xinhua news agency, a recent report by the Chinese Academy of Engineering concluded that China’s energy development is projected to experience a “historic transition” around 2030 when its consumption of coal becomes restrained, the emission of carbon dioxide reaches its peak and energy-saving capacities around the world reaches an advanced level. This conclusion is consistent with other analyses and official statements suggesting that 2030 could mark the high point of Chinese CO2 emissions if current policies continue. The EIA report, referred to above, is more pessimistic, but even it shows Chinese emissions peaking in 2038. Now, why do I keep arguing about this? Because it’s important: pinning the blame on China is an evasion of responsibility. We should pressure China to do better on emissions. But the best step toward doing so effectively would be getting our own act together. Manifestly, it is not–not when there is no national policy, no political consensus, and no mechanism for mitigation beyond EPA regulations that exist at the mercy of the next Presidential election. None of those needs will be addressed by pretending that the only problem we have is located in Beijing. How much should the rest of the world FINE YOU for totally disregarding the urgency explained by the Science? Go forward Chris Dudley …. turn your nation around, turn your own personal behaviour and your misinformed verbiage around too ….. NOW! That is a NON-Policy that has no effective actions to back it up. In fact the “policy actions” are the complete opposite of such a “goal”. Furthermore, such a Goal is counter-productive and basically “spin” that looks nice on the surface because basing it on 2005 is a total cop out and a mis-direction. In order to get anywhere near RCP 2.6 what is required is a 90% cut to 1990 level emissions BEFORE 2050, and preferably by 2040. 1990 Data is the ONLY Valid yardstick … it applies to the USA and to the globe equally. Under 10% of 1990 emissions is the ONLY Valid Goal, that “might” work. RCP 2.6 globally is NOT achievable under any rational potential changes in Carbon Energy use in the foreseeable future. None. RCP 8.5 IS the current real world trajectory – and the USA is feeding that as much as the rest of the world are. Why? Because there are NO policies, and no actions in place that show the USA is heading anywhere BUT towards RCP 8.5 by systemic increasing of it’s fossil fuel carbon emissions, concrete use, and land use effects. Yes, we have them surrounded after all. Apparently most models discount major carbon feedbacks. Why? I don’t know. And, yes Chris, they do include future CO2 emissions…just not human ones. Is that what you meant?